"This is my truth. Tell me yours". TRIBUNE is back. 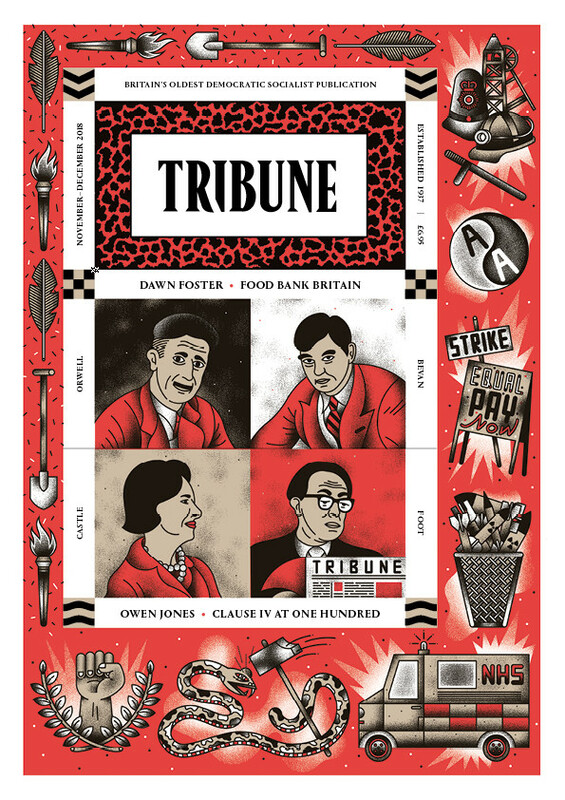 Established in 1937 TRIBUNE is Britain's oldest democratic socialist magazine. TRIBUNE relaunched September 2018 with a new design by the award-winning team at JACOBIN Magazine. Dawn Foster – Journalist, broadcaster, author who has contributed to The Guardian, London Review of Books, Times Literary Supplement, Independent and Dissent. David Harvey - the Distinguished Professor of anthropology and geography at the Graduate Centre of the City University of New York. His teaching a course on Marx's Capital was put into a Youtube lecture serieswhich gained immense popularity resulting in two companion. Matt Zarb-Cousin – The former spokesman for Jeremy Corbyn and now spokesman for the CAMPAIGN FOR FAIRER GAMBLING. Faiza Shaheen - Economist, writer activist and author and director of the Centre for Labour and Social Studies (Class). Owen Hatherley - writer and journalist based in London who writes primarily on architecture, politics and culture. Grace Blakeley - Research Fellow on IPPR’s Commission on Economic Justice.